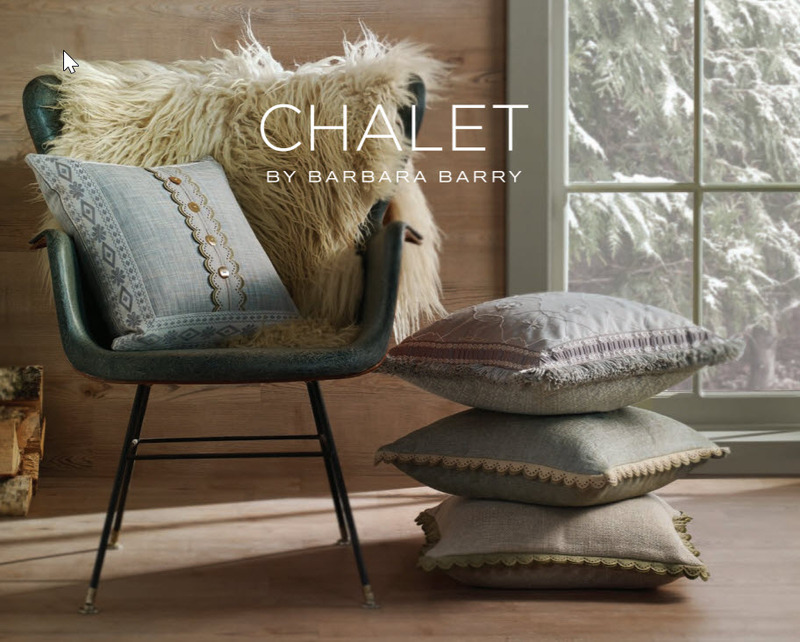 I have always loved chalet style. For years I loved traditional chalet style. 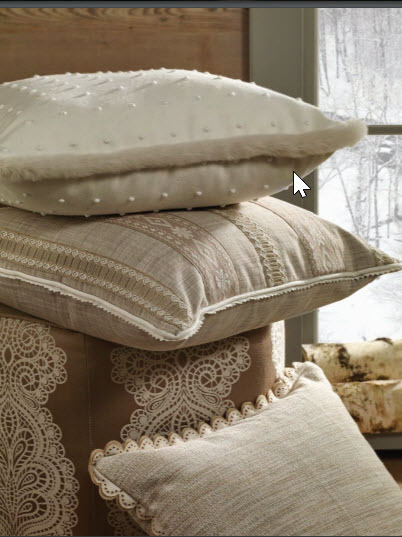 The charming Swiss embroidered fabrics, the Brien Black Forest wood carvings, eidelweiss flowers, rustic Antique French and Italian furnishings. 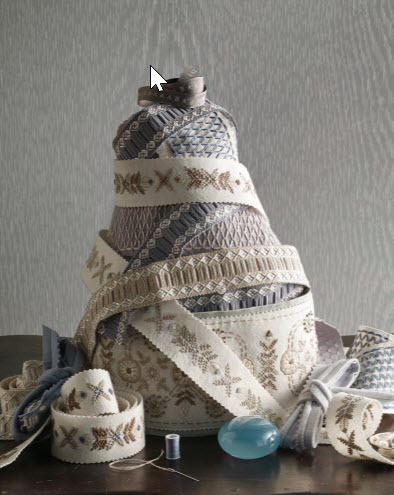 My clients ordered so much Pierre Frey chalet fabric that I became the largest Pierre Frey account in the US. In fact, I still love the chalet look. A room I designed for a client 15 years ago. Lot's of Pierre Frey! But these days, I am more enamored of a contemporary chalet style, one influenced by the clean lines of Axel Vervoordt's Belgian decorating. Still dominated by simple rustic furnishings, old beams and wood floors, and still an emphasis on antiques, but dotted here and there with contemporary mountain pieces. Less detail and fuss. An altogether, lighter, cleaner look where emptier rooms are simply furnished with larger pieces, nubby fabrics in simple pale colors, everything chosen for its purpose. 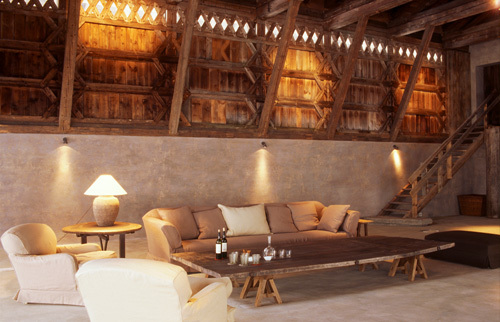 A chalet room designed by Axel Vervoodt. And now Barbara Barry, a distinctively American designer with her own fully developed contemporary design style, has embraced European chalet design and has created a line of fabrics, trims, pillows and curtain hardware. Somehow Barbara Barry has managed to blend the old with the new. You still see the traditional influences, the subtle snowflake and pine sprig patterns, the trims with their leiderhosen-inspired shapes. 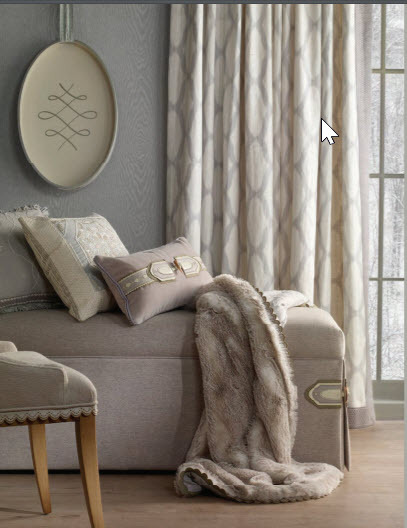 But everything is in softer more modern colors and fabrics. 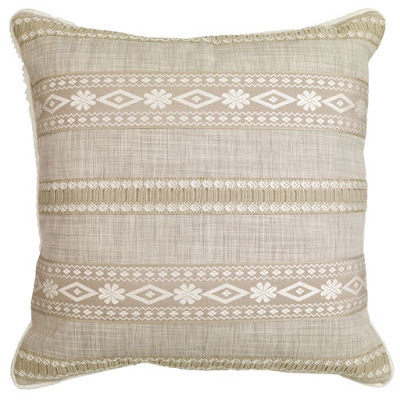 Traditional motifs and patterns are merely suggested, not rendered in perfect detail. 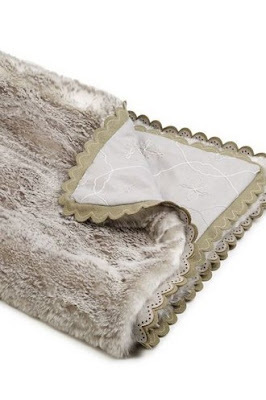 Rumpled linens, faux furs and coarse woolens are the textures of choice. 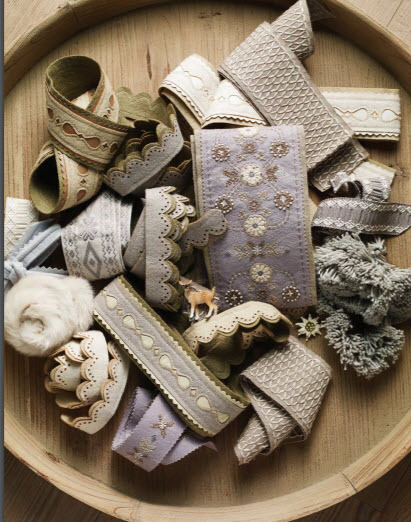 The color palette is restricted to soft grays, sages and taupe. It's a look for today and I am loving it. 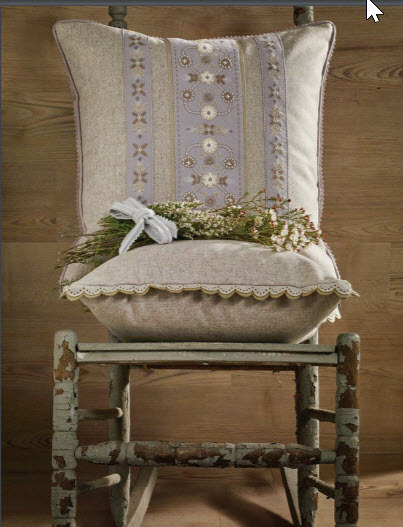 Rustic nubby linens in soft colorations dressed up with generous quantities of leiderhosen-motif inspired trims. Embroidery inspired by the past but used in a new way. A subtly beautiful pine bough pattern. It's all about the trimmings. 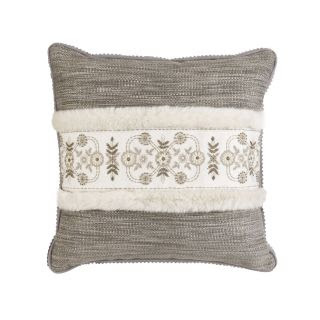 You can order the pillows made to order--and there are so many styles to choose from. And don't forget the faux fur. 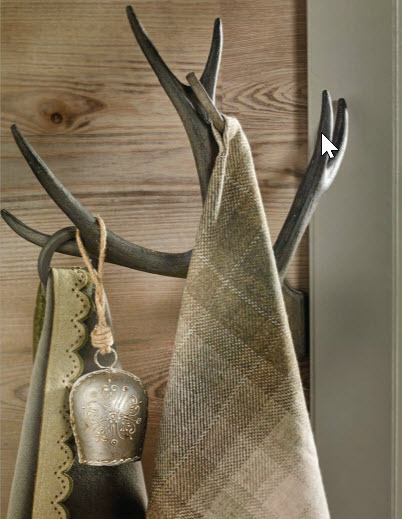 It wouldn't be contemporary chalet style without it! 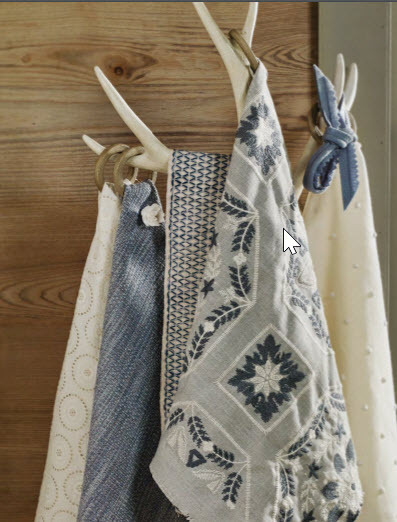 Beautiful fabrics and beautiful details. 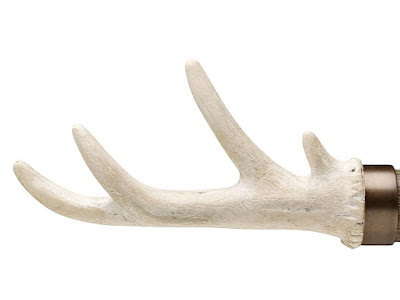 By the way, the faux antlers are part of the hardware line. Drapery tie-backs and rod supports in faux-antler. Bavarian Button--A simple linen with hand embroidery and wooden buttons. 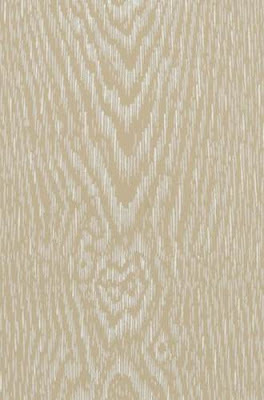 Wood Frost Wallpaper in Birch--so pretty! The whole collection is available at TahoeDreamInteriors.com, of course. We're always happy to get you samples of the fabrics and trims you're interested in. 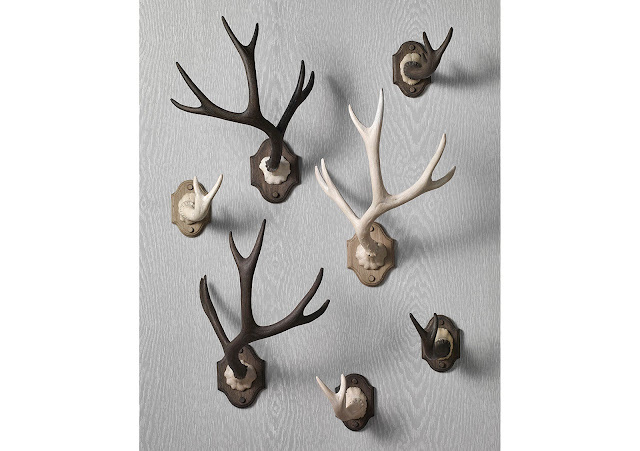 We want you to be able to see them up close, take them into your rooms and live with them for awhile before you order. Just let us know if you see anything in the Barbara Barry Collection that you'd like to receive in a swatch form. There's no charge. 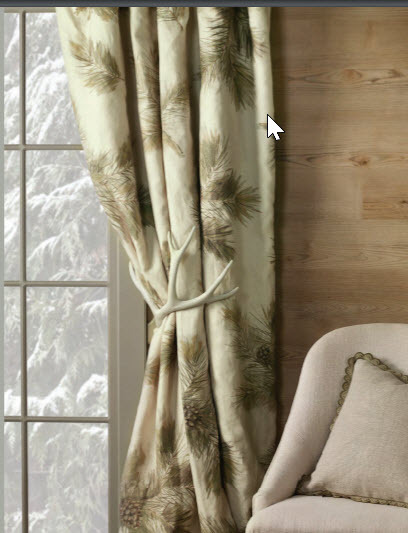 Do curtains work in cabins and mountain homes?